Karnataka PG Medical Admission 2019 - The Karnataka Examinations Authority (KEA) has released the revised schedule for second round of counselling for Karnataka PG medical admission. Candidates will be able to rearrange their web options from April 20 to 24, 2019 up to 10:00 AM. 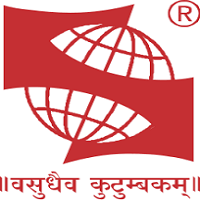 The seat allotment list for second round of counselling will be published on April 25, 2019. The process of payment of fee and collection of allotment letter will be done from April 26 to May 2, 2019. Along with this, the authority has issued the seat matrix for various quota. Candidates can check the details in the article below. 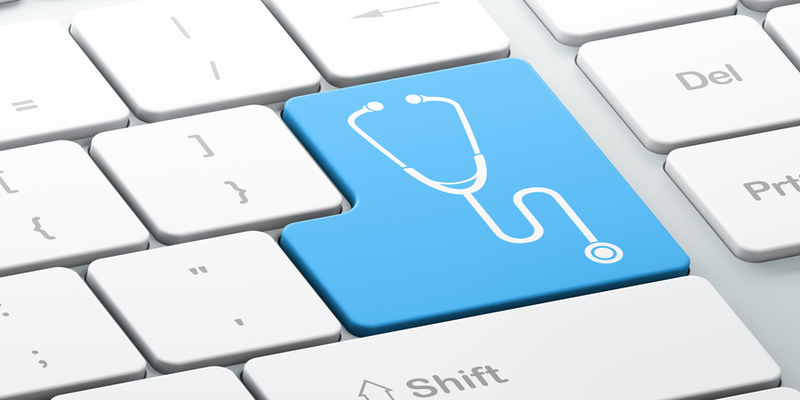 In consideration of the lowered NEET MDS cutoffs, the authority had also opened the online registration for MDS candidates who have thus become eligible. Candidates can check the details of the second round of counselling as well as other details of Karnataka PG MDS admission in the article below. Earlier, the authority had extended the last date of payment of fees by the eligible candidates till April 10 for Karnataka PG medical 2019 admission. While the process of submitting the original documents by the eligible candidates of round one was extended till April 10. KEA announced the result of first round allotment result and cutoff of admission to Karnataka PG medical 2019. The eligible candidates could download round one Karnataka PG medical 2019 admission result by logging in and entering their PGET number. The officials, through a notification, had announced the extension of the last date till April 10 up to 4:00 PM for payment of choice-1 and choice- 2 candidate. the last date for submission of original documents was extended till April 10 up to 5:00 PM. Along with the declaration of result, the authority has also issued additional instructions for candidates for further admission procedure. 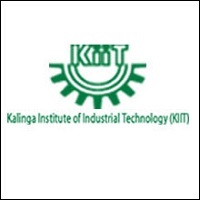 Candidates can check the instruction in the link provided on this page. Earlier, the authority released the cutoff and result of the mock allotment round. Aspirants who have been allotted seat under Karnataka PG medical admission 2019 must report at the respective college for document verification and completion of admission process. After the conclusion of round one, KEA will conduct the second round of seat allotment process from the third week of April 2019. Candidates can find the link to download the seat matrix for each quota below in the article. Earlier, a provisional verified list has also been released by the authority. Candidates can check the link to download the list given on this page below. The admission to Karnataka PG medical courses will be taken on the basis of merit and preference. NEET PG score will be considered for merit and choices submitted in Karnataka PG medical counselling will be considered for preferences. It is mandatory for all candidates to qualify NEET PG 2019 in order to become eligible for Karnataka PG medical admission process. LATEST: KEA has released the seat matrix for second round of counselling. Check details below! To check the additional instruction for the candidates for Karnataka PG medical admission - Click here. To apply online for Karnataka PG dental admission, click here. The authority has issued the notice for the second round of counselling for Karnataka PG medical admission 2019. Candidates will be able to rearrange their choices from April 20 to April 24, 2019, up to 10:00 AM. The result for the same will be announced on April 25, 2019, after 5:00 PM. The fee payment and collection of seat allotment letter can be done till April 26 to May 2, 2019. The counselling for admission to Karnataka PG medical course is being held in online mode only. KEA has announced the result of Karnataka PG medical 2019 seat allotment result round one, which can be downloaded from the link provided above. The counselling process had begun with the mock round which provides the candidates with a tentative seat allotment as per their score. On the basis of mock allotment, candidates can submit preferences in the round one of counselling. The option entry for the same had begun on March 25 and remained open till March 29, 2019. The cutoff rank has been released on the basis of options entered for the mock round. A link to check the cutoff rank has been provided above. The result of Karnataka PG medical counselling will be released in the form of the seat allotment list and allotment order on April 2, 2019. The allotment order needs to be carried to the allotted college at the time of Karnataka PG medical admission 2019. There will be a total of three rounds of counselling. Additional mop-up round of counselling will be conducted subject to the vacancy of seats in offline mode. The authority will be conducting the document verification for the second round of counselling for Karnataka PG 2019 medical admission from April 15 to April 21, 2019, in between 10:00 AM and 4:00 PM. Candidates can check the detailed schedule of document verification in the image provided below on this page. The registered candidates are required to report at the document verification centres along with below-mentioned documents as per their NEET PG AIR. Only those candidates whose documents are successfully verified will be included in the verified list and will be considered eligible for Karnataka PG medical counselling. Candidates can check the official notice of extension of date from the link provided below. Two passport size photographs which should be same as uploaded by the candidate while filling NEET PG 2019 application form. Secondary School Leaving Certificate as a proof of date of birth. Provisional internship completion certificate for candidates who will be completing their internship by March 31, 2019. An undertaking on Rs. 20 Stamp paper needs to be submitted for Karnataka PG medical admission 2019. With the release of revised cutoffs for NEET MDS, the authority has begun the registration process for MDS admission from April 12, 2019, at 11:00 AM which will remain open till April 14, 2019. The last date to pay the application fee is April 15, 2019, up to 4:00 PM. Such candidates will have to get their documents verified on April 16, 2019, from 10:00 AM to 5:00 PM. The registration facility has been made available in online mode only. Only those candidates who have filled the application form will be considered eligible for the further admission process. The registration fee for Karnataka PG medical 2019 is INR 1000 for General category candidates and INR 500 for the reserved categories and PwD candidates. Candidate must qualify NEET PG 2019 by securing at least the minimum required percentile. Candidate must have completed MBBS from an institute recognised by State Medical Council/Medical Council of India (MCI). Interested candidates are also required to be registered with MCI. It is mandatory to complete the Compulsory Rotatory Residential Internship by March 31, 2019. Karnataka PG medical 2019 eligibility criteria also vary from seat to seat. KEA will release two merit lists namely eligible list and verified list. The verified provisional has been released by the authority. The eligible list will include only those candidates whose application forms have been accepted and are eligible for Karnataka PG medical document verification session. The candidates whose documents are verified has been included in the Karnataka PG medical verified list 2019. Karnataka PG medical merit list will be issued in online mode only and no individual intimation will be made to the candidates about the release of merit list. Provisional verified list of candidates who have verified the documents. iii) 20% of seats private minority (religious & linguistic) colleges. Only those citizens of India who have completed MBBS from an Institute located from Karnataka. i) General Merit - Private seats (GMP): 50% of the above 42% seats. ii) Open seats (OPN): The remaining 50% of the above 42% seats. i) 66% seats are reserved for respective religious and linguistic minority. ii) 50% of the 34% seats will be reserved for GMP while the remaining 50% seats will be falling under OPN quota. For GMP seats, candidates who have completed MBBS from an Institute located in Karnataka are eligible. For OPN seats, it is mandatory to complete MBBS from the state. 15% of the total seats in KPCF, KRLMPCA and AMPCK colleges are reserved for NRI candidates. NRI/Wards of NRI/PIO/OCI are eligible under this category. 10% of the total seats in KPCF, KRLMPCA and AMPCK colleges. 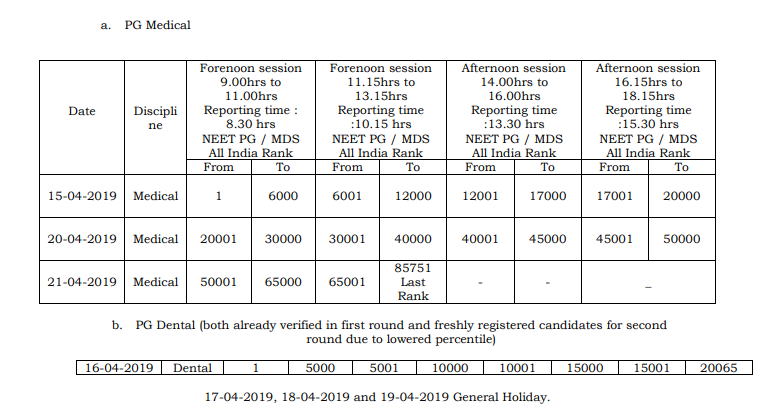 All the candidates who will qualify NEET PG 2019 will be eligible.